Manga Classics: Jane Eyre: Jane Eyre (Paperback) | Let's Play Books! As an orphaned child, Jane Eyre is first cruelly abused by her aunt, then cast out and sent to a charity school. Though she meets with further abuse, she receives an education, and eventually takes a job as a governess at the estate of Edward Rochester. Jane and Rochester begin to bond, but his dark moods trouble her. When Jane uncovers the terrible secret Rochester has been hiding, she flees and finds temporary refuge at the home of St. John Rivers. 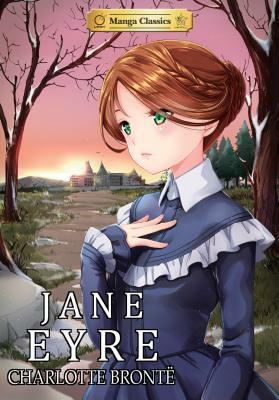 Charlotte Bronte's classic tale of morality and social criticism takes on an entirely new life in this Manga Classic adaptation of Jane Eyre.